Last week Aimee and I attended a couple of great classes at Contempo Tile taught by Vetrazzo. We learned a lot about their product.... that we already happened to love. 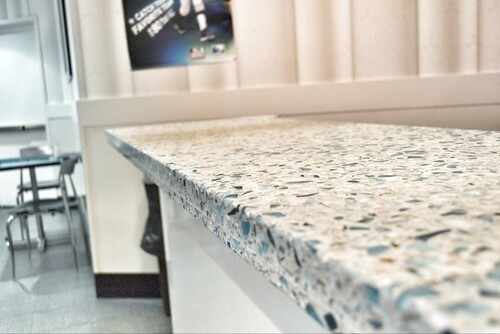 Houzz posted a great article this week about countertops made from recycled glass in cement, which includes Vetrazzo. Kitchen Counters: Sturdy, Striking Recycled Glass with Cement. The photo below is Vetrazzo in Floating Blue, which happens to be my very favorite Vetrazzo color. If you are just getting started on the countertop hunt I'd recommend reading An Easy Guide to Kitchen Countertops on Cultivate. 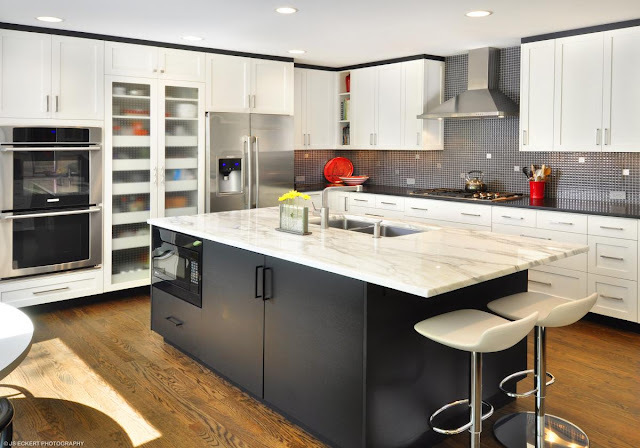 It gives you a brief run-down of the 7 most popular countertop materials.